Only your filmmaker knows for sure… just how painful it is to lose certain scenes. Even worse when you’re the screenwriter and you’ve agonised over crafting certain words, replete with subtext and resonance. And here they go, hitting the cutting room floor. There’s a sense of grief and loss. And how about those perfect camera shots, where the composition and lighting is a minor artform in itself, and you could linger on the image in quiet satisfaction – and now it’s going, never to be enjoyed by an audience. The only good thing about all of these cuts is that they’re chosen willingly rather than being imposed by some studio or funding body. The real cost of financing a film is when you get people who want to take over the final cut. That’s when the story becomes something else, and often someone else’s. Thus far we’ve been lucky with Moon that such a compromise has not been necessary. Long may it continue. So why are we hacking away at our own film? For the same reason a gardener might prune a tree or rose bush. 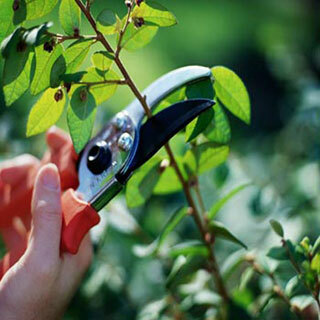 To cut out the dead wood; to trim to shape; to accentuate and concentrate the growth in a particular area; and for the overall health and beauty of the plant. We’re looking for the scenes that don’t advance the story, as lovely as they may be. Searching for ways to draw out the essence of the film – and often that’s done by cutting back rather than adding in. Essential to the pruner’s art is a vision of what they’re trying to do, before they make the first snip. You need a vision before the cutting starts. That vision is the creative core of any film, which must be protected to the death. For the rest, it’s material to be shaped, and where necessary, cut. Painful necessities eh, Kia Kaha Mike I’m sure it’s shaping up just great!